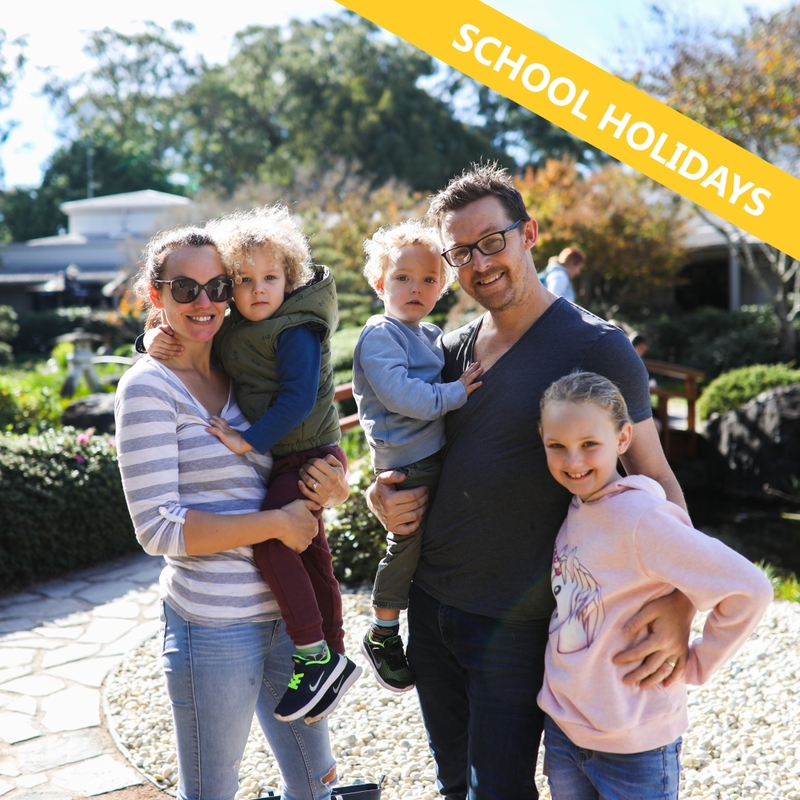 Don't get stuck for entertainment these school holidays - with over 100 different events and activities right across the Coast, there's something for everyone. Our Youth Services team have developed a dynamic program full of activities across technology, professional skills development, sports and creative for the April School Holiday period. Get hands on experience with DJ equipment, create .gif animations that work everywhere or mingle with local filmmakers and see the first two short films from the 'We Dream' project, a Manga feature film. 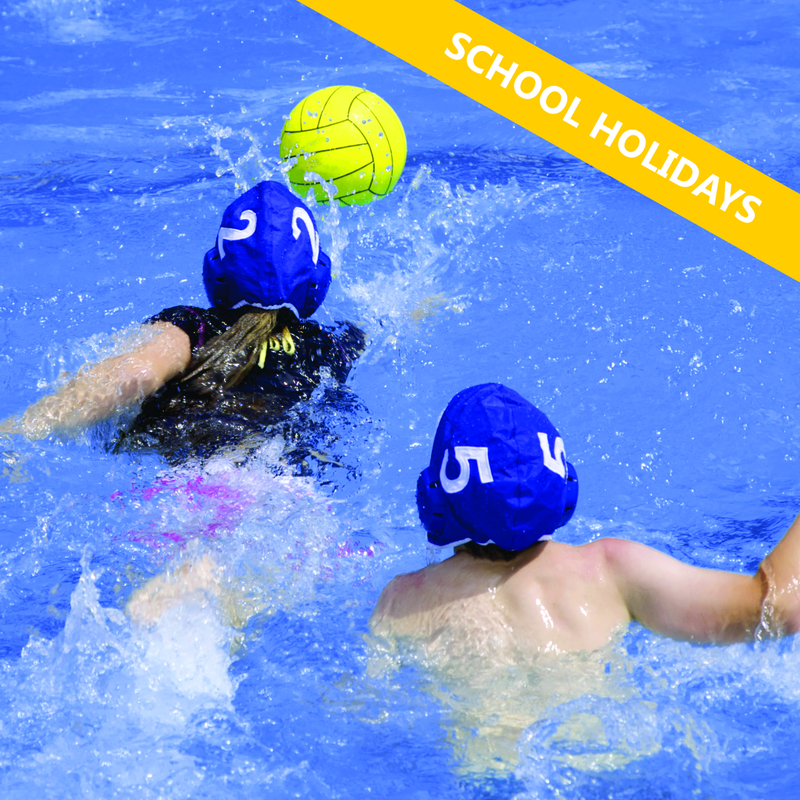 Our Leisure Centres have lots of swimming and sporting fun these holidays to keep your kids active. Our pools will be offering a variety of pool inflatable fun and swimming programs plus our sport centres will have basketball clinics and jumping castle fun the kids can get involved in. 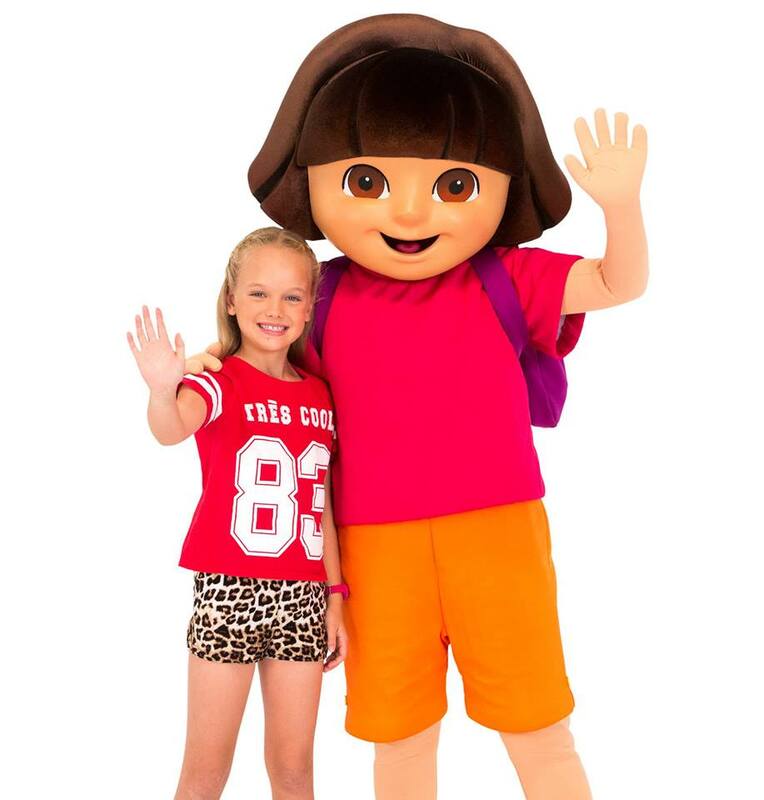 Nickelodeon’s Dora's Singalong Adventure Show is coming to The Entrance these school holidays! Bring the kids down to The Entrance to sing and dance with Dora or join in the range of other fun free activities including Easter basket and Bunny ears decorating, an Easter egg hunt and roving Easter bunny, Magic Circus shows plus a cupcake and cookie decorating workshops. 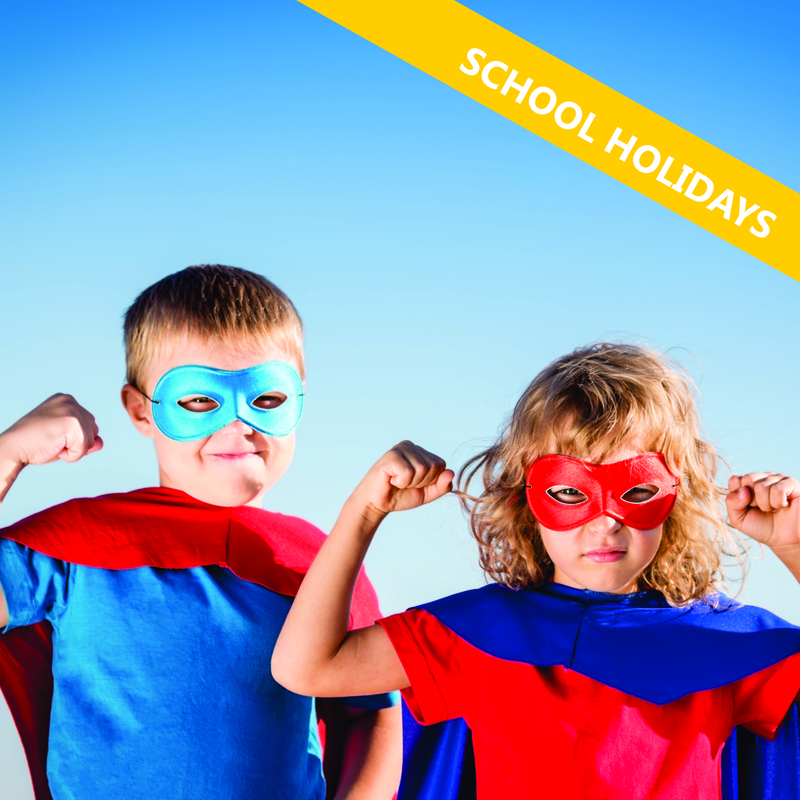 Make the most of our Library Service this school holidays with a full program of free events for all ages. Participate in Superhero Training, join award-nominated author Jess Black for a fun creative writing workshop, learn tips and tricks for drawing your favourite Manga and Anime characters with artist Matthew Lin, try your skills in an Escape Room or decorate Easter Biscuits or an Easter Egg cup. Learn about sustainability with our free Green Living Workshops. 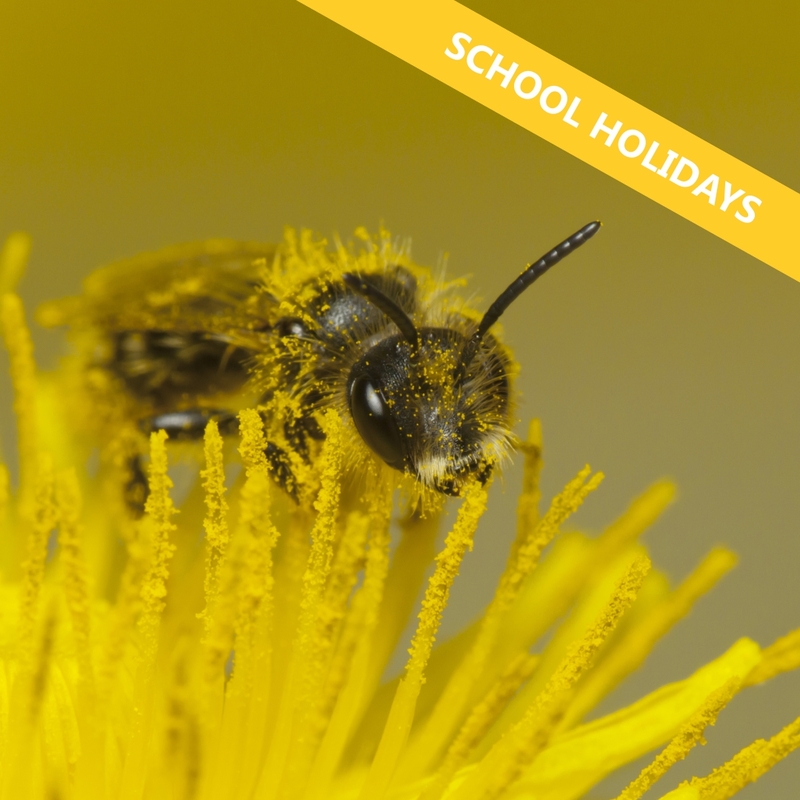 Get your hands dirty and plant some vegetable seeds to take home in a pot, explore the wonderful world of compost worms, create your own upcycle terrarium, build a bee or insect hotel and try your hand at making non-toxic body care products. Keep the kids entertained at Gosford Regional Gallery these holidays. Design your own stylised, handmade pendant inspired by ancient cultures such as the Egyptians, Aztecs and Vikings, share your flair for colour by painting silk fabric in traditional and geometric mandala designs, build a cardboard Dinosaur or use collage and mixed media to recreate Coral Reef scenes under the waves. 15-26 April at Peninsula Leisure Centre. 10-11am and 1-2pm. Cost included in pool entry. 15-26 April at Peninsula Leisure Centre. 11am-12pm and 2-3pm. Cost included in pool entry. Fast track your child’s swimming progress with our intensive swim program. Week one - 15-18 April. $67.20 per person. Week two - 23, 24 and 26 April. $50.40 per person. Improve your Breaststroke and diving skills. Individual lession - $16.80 each. Breaststroke and Dive Clinic for children with a strong Breaststroke kick looking for development. 1-30 April. 9am-5pm in The Foyer, Community Gallery space, Erina Centre, Erina Fair. Free entry. Visual story-telling at its finest with a Manga artwork and book display to compliment the Anime Architecture exhibition on now at Gosford Regional Gallery. Entry is open to all riders aged 5-24 years in skate, scooter and BMX as well as WCMX Wheelchair. 9am Bato Yard, The Entrance. Free event. Insect Hotel Making and Native bee information for kids. 9am-10.30am Gosford Regional Gallery Art. Free event. Places are limited, bookings are essential. Insect Hotel Making and Native bee information for families. 11am-12.30pm Gosford Regional Gallery Art. 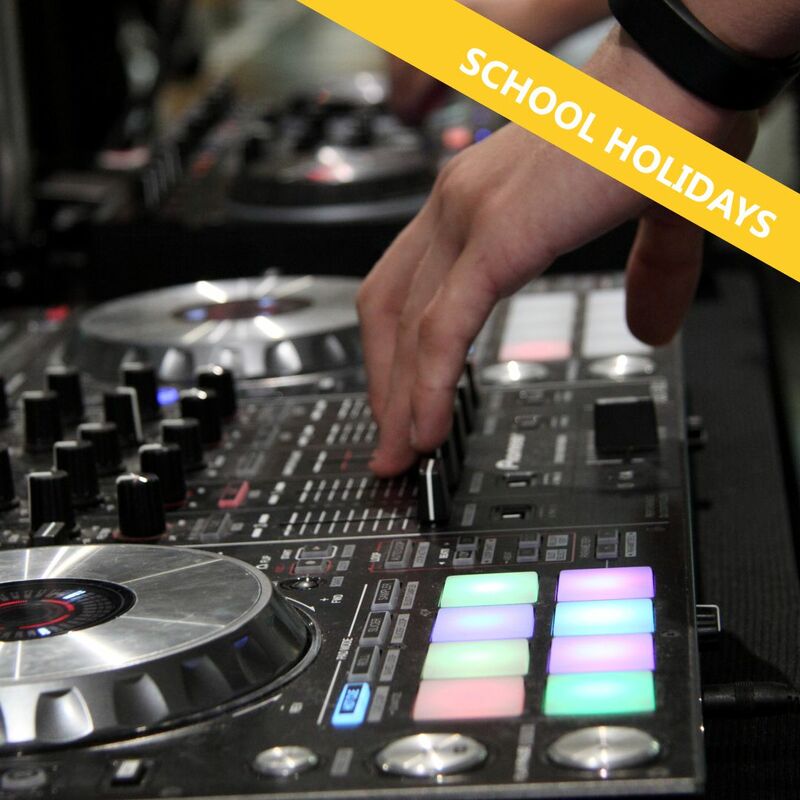 Free 30 min DJ sessions, to get hands on experience with DJ equipment. Free 30 min ukulele sessions to learn a song, technique, or skill. 9am-5pm Goat’s Festival, San Remo. Free event. Book on the day. Come for a morning of team work, training stroke development, and professional knowledge. Meet and go over program, training and video session. Minimum requirements: 200m Freestyle, 100m Backstroke, 100m Breaststroke, 50m Butterfly, know starts and turns. 10am-1pm Waterfront Plaza, The Entrance. Free event. Join award-nominated author Jess Black for a fun creative writing workshop. Create stories with your favourite pets as detectives, in search and rescue situations or even in hotels, like Jess does in her book ‘The Tales of Mr Walker’. 10-11am Buttonderry Waste Management Facility. Join us and Erth as we build puppets for the Idea to Screen, I Dream short film series. 10am-4pm The Hub Erina. Free event. Be inspired by ancient cultures such as the Egyptians, Aztecs and Vikings and design your own stylised, handmade pendant. Skate skills development facilitated by Female coaches. 11am-12pm Waterfront Plaza, The Entrance. Free event. 11.30am-12.30pm Buttonderry Waste Management Facility. A bit of fun: An inflatable obstacle course will be set up in the pool as well as a giant inflatable on the grass. 11.30am-2.30pm Gosford Olympic Pool. Cost included in pool entry. Making non-toxic body care products. 1-2pm Buttonderry Waste Management Facility. Create a fun Chibi character using a combination of Kokeshi simplified doll forms with anime features. Learn hand building and modelling sculptural techniques using air-dry clay. Required to have experience working in clay. Get ready for Easter and decorate homemade biscuits with icing and sweets. All materials provided by the CWA volunteers. Please bring a container to take home your creations. Spend time on the inflatables, trampolines, wheelchairs as well as soccer and hockey. 3.30-5pm Niagara Park Stadium. $11 per child. Learn the basics behind Textile Arts & Crafts with threading, simple embroidery stitching and embellishing to create your own decorative placemat. Specialist clinics to develop your Freestyle, Backstroke, Breaststroke and starts and turns. Four kids per 30 min class run by our head coach. Children must be able to swim. 10am-12pm The Hub Erina, Youth Entertainment Venue. Three days (16, 17 and 18 April) $30. Bookings essential. 10am-12pm Waterfront Plaza, The Entrance. Free event. Come learn tips and tricks for drawing your favourite Manga and Anime characters with artist and illustrator Matt Lin. This condensed one day course is mash up of the popular 'Barista 101' and 'Advanced Barista' courses run through Glee Coffee Roasters. 10am-4pm Glee Coffee Roasters HQ, Warehouse 4 Dulmison Ave, Wyong. Share your flair for colour by painting silk fabric in traditional & geometric mandala designs. Experiment with beautiful radial circular designs within a creative and tranquil setting. Come along to a 'kNow' waste education session with Cleanaway. Learn all about recycling, reducing waste, why we shouldn't litter and meet a real live litter bug! Challenge yourself and attempt to complete our pool inflatable obstacle course. 11am-2pm Toukley Pool. Cost included in pool entry. 11am Terrigal Haven. Free event. 12-1pm Waterfront Plaza and Memorial Park, The Entrance. Free event. Get bouncy with two hours of jumping castle fun, a different activity these holidays for kids to burn off energy. 1-3pm Peninsula Leisure Centre. $7.50 per child. 1.5 hours of advanced coaching delivered by a high level coach for players involved in local competitions. 2-3.30pm Lake Haven Recreation Centre. $11 per player. Ever wanted to try waterpolo? Join us for a three hour clinic to see if you like it! 8.30-11.30am Gosford Olympic Pool. $49 per person. Two educational interactive wildlife shows with Lizards, Pythons, Frogs, Crocodiles, Birds and Marsupials. Includes touch/pat/hold and a photo opportunity. It was the perfect heist, but now it’s a race against time to unravel the clues and discover where the Mastermind has stashed the loot, before it’s lost forever! Come on down and put your deductive skills to the test in this interactive, Escape Room style event. Bring home your own piece of history. Build a cardboard Dinosaur and personalise its many features. Bring your scissor fingers and gluing hands to the table. Big fun for little historians. 11am-1pm Peninsula Leisure Centre. $7.50 per child. 11.45am Norah Head. Free event. Kicking off the eMerge (artist / curator) program - join the discussion with a public talk on ideas and art strategies that address the artworld in all its complexities. 12-1pm Art Space 1, The Erina Centre, Erina Fair. 1-3 pm The Hub Erina, Youth Entertainment Venue. $10 per person. Bookings essential. Explore the depths of the Coral Reef and its mysterious features and exotic animals. Using collage and mixed media to recreate scenes under the waves. Decorate a variety of sweet treats to take home for Easter. Please bring a container to take home your goodies. Please note this program is not suited to those with allergies to gluten, eggs or nuts. Join the Superhero team from Action Reaction Entertainment as they demonstrate just what it takes to be a Superhero. Don’t get too comfortable though, because you’re invited to partake in the training and become Superheroes too. Come dressed as your favourite superhero! 12.30pm Terrigal Haven. Free event. Come and see the first two short films from the We Dream project, a Manga feature film, and mingle with local filmmakers. 7pm The Hub Erina. Free event. Bookings essential. 11am-3pm Waterfront Plaza, The Entrance. Free event. 1.15pm Toowoon Bay. Free event. A special hour session for children that require more space in a quieter environment – strictly limited to 20 children. Three days (23, 24 and 26 April) $30. Bookings essential. P 4304 7333 or register online. 10-10.30am Memorial Park Stage, The Entrance. Free event. Do you dream of leading a team to World Cup glory? Come down and compete in our FIFA World Cup tournament on Xbox One. Kick some goals, share some laughs and put your (virtual) football skills to the test. 11am-12.30pm Niagara Park Stadium. $5 per child. 11-11.30am Memorial Park Stage, The Entrance. Free event. Make an Upcycled Bee and Insect Hotel. 12-12.30pm Memorial Park Stage, The Entrance. Free event. 3-4.30pm Niagara Park Stadium. $5 per child. 9.30-10.30am Niagara Park Stadium. $5 per child. 1.5 hours of coaching delivered by a high level coach for players involved in local competitions, followed by 1 hours play on the inflatables. 9.30am -12pm Niagara Park Stadium. $17.50 per person. Get up close with a range of Australian animals in this great presentation by Australian Wildlife Displays, a wonderful way to introduce kids to some of our native animals! 12.30-3.30pm Waterfront Plaza, The Entrance. Free event. Make your own fragrant bath bombs to keep or give away as a gift for Mother’s Day.